As part of Churches Together in Hoddesdon, Broxbourne and Wormley, we are involved with Street Pastors. 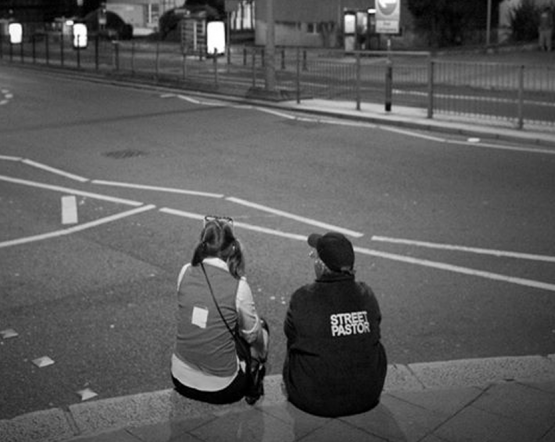 Street Pastors is an inter-denominational Church response to urban problems, engaging with people on the streets to care, listen and dialogue. It was pioneered in London in 2003 by Rev Les Isaac, Director of the Ascension Trust, and has seen some remarkable results, including drops in crime in areas where teams have been working. There are now some 9000 trained volunteers in around 250 teams across the United Kingdom. Each Street Pastors project is set up by the Ascension Trust and run by a local coordinator with support from the Ascension Trust, local churches and community groups. Street Pastors are operated in partnership with the Police, local Council and other statutory agencies. Nigel De Rivaz from Life Church en11 is the coordinator of the Street Pastors Team in Hoddesdon. Currently they patrol once a month; usually on a Friday night, across the borough of Broxbourne seeking to help those they come across. If you would like to get involved with Street Pastors please contact Nigel at nigel(at)elimlifechurch.org. To be eligible you will need to have attended a local church for one year. Full training is provided for those willing to become Street Pastors.